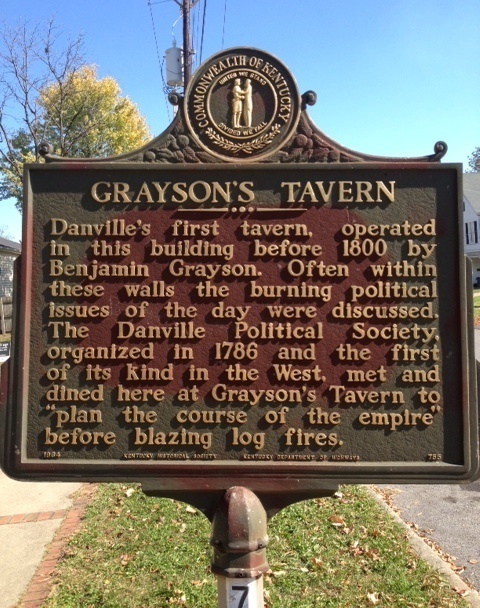 Historical Marker #755 commemorates Grayson's Tavern, a popular meeting spot in Danville constructed by Benjamin Grayson in 1785. 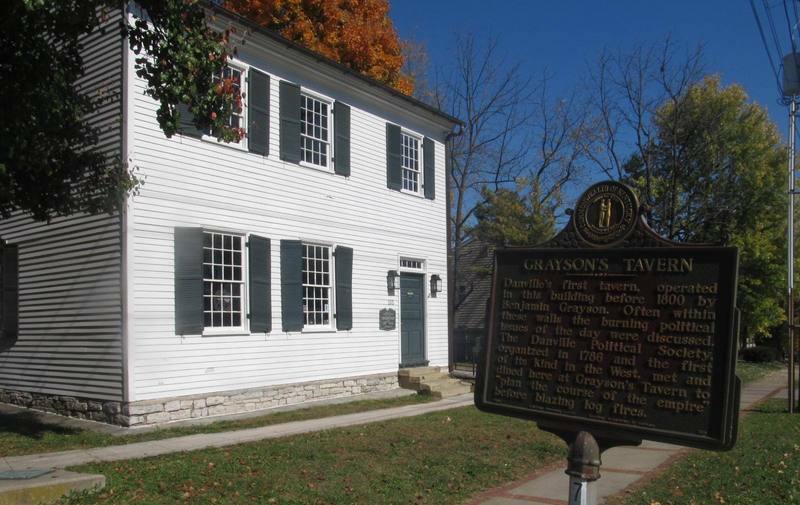 Used by local residents and travelers, Grayson's Tavern was an important part of Kentucky's early political history. During the late eighteenth century, the Danville Political Club (DPC) met in Grayson's Tavern. 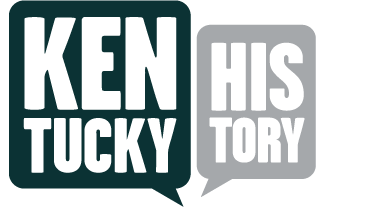 Established by several prominent early Kentuckians, many of the members went on to sign the Kentucky constitution, served in the U.S. congress, and held other important political posts. Comprised of men aged eighteen to sixty, the DPC met once a week to discuss current political issues. Notable members included Judge Harry Innes (appointed U.S. district judge for Kentucky by President George Washington, signed the Kentucky constitution, and president of Transylvania University), Thomas Todd (justice of the U.S. supreme court), James Brown (Kentucky secretary of state, U.S. senator, and U.S. minister to France), Christopher Greenup (first congressman to represent Kentucky and governor of Kentucky) and Thomas Speed (congressman and major in the War of 1812). The Club provided professional development for Kentucky's future leaders, who, "by discussions of pertinent questions, by the mutual exchange of ideas, by a close study of other forms of government, they were able to prepare themselves for their greatest task in the world around them." Although the DPC first met in members' homes, once the club grew they moved their meetings to Grayson's Tavern. After enacting strict attendance policies, tardiness and absence were not permitted without a valid excuse (however, wooing out-of-state women was an acceptable reason for absence). 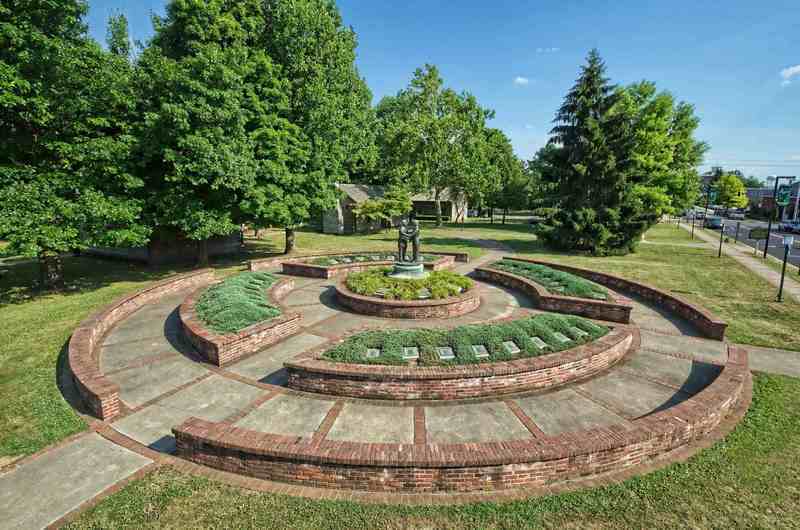 The central location of Grayson's Tavern, its proximity to the Wilderness Road, and Danville's status as the center of political activity for the new state of Kentucky made the building a fitting place for these influential men to meet. Grayson's Tavern and the Danville Political Club were right in the thick of Kentucky's early statehood and were important contributors to Kentucky history. Today, Grayson's Tavern is the office of the Danville-Boyle County Convention and Visitors Bureau. Grayson's Tavern: Located in Danville at Constitution Square, Grayson's Tavern was the site of many political discussions during Kentucky's early constitutional conventions. Courtesy the Kentucky Historical Society. Constitution Square, Danville: Grayson's Tavern, which was important to Kentucky's early statehood, is located at Constitution Square in downtown Danville. Photo courtesy the Danville-Boyle County Convention and Visitors Bureau. Grayson's Tavern Historical Marker: This Kentucky Historical Marker commemorates the site of Grayson's Tavern, located in Danville at Constitution Square. Courtesy the Kentucky Historical Society. Taylor Frost, “Grayson's Tavern,” ExploreKYHistory, accessed April 22, 2019, https://explorekyhistory.ky.gov/items/show/116.